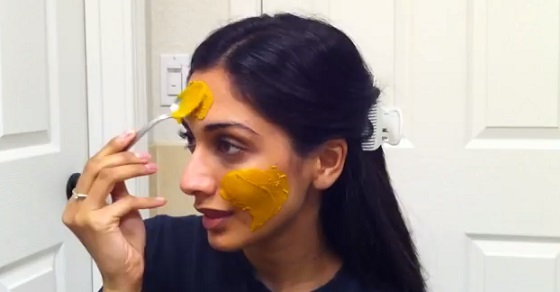 This is an easy “Do it yourself” beauty mask that is our suggestion. You can treat yourself with doing this mask once in two weeks. It will certainly brighten up your tan and it is great for people with redness, acne or rosacea. It also acts amazingly in preventing the appearance of dark circles. Turmeric is a spice that is at your disposal in every super market. You can buy some when you are grocery shopping for only couple of dollars. It ‘s most commonly used in the South Asian cuisine. So, if you want to buy turmeric for even cheaper price than you actually do, visit your local Pakistani/Indian super market. You will find extremely cheap turmeric there. The important thing you need to know about turmeric is not health-related. We warn you that turmeric can stain furniture, clothing etc. Be careful when using it. Confession of a Doctor Who Drank Cannabis Oil: "I Had Cancer, Cannabis Oil Brought My Life Back"